1. 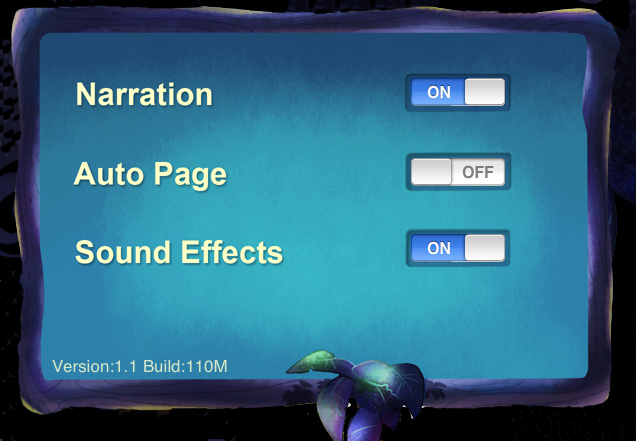 Auto play: Sit back and enjoy the story as the story is read to you and pages turn automatically. 2. 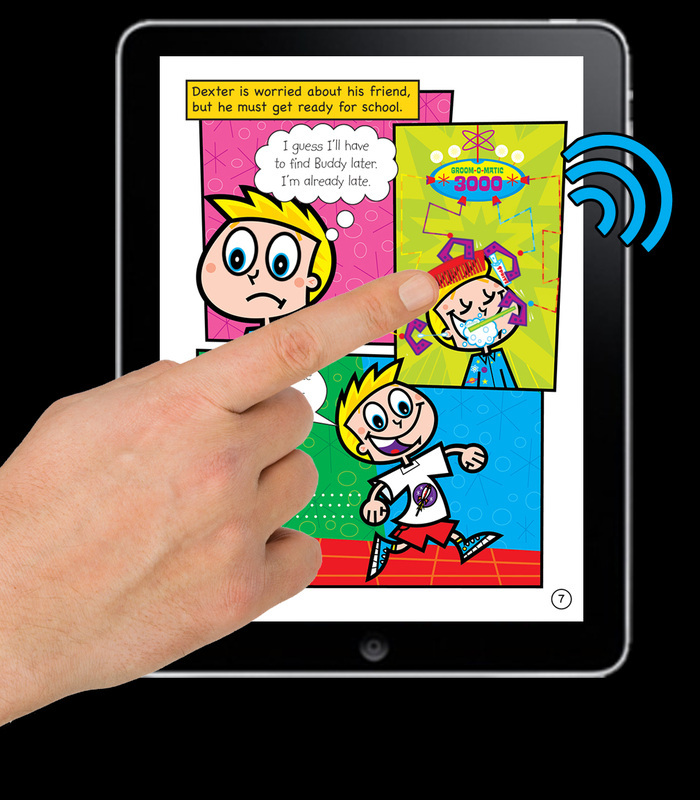 Read to me: Listen to the narrator and other character voices and watch the speech bubbles appear. Don’t forget to turn the page! 3. Read myself: Turn the pages and enjoy the story in its traditional form, but touch the screen to discover the funny sounds and actions that the characters make. "Swipe Up” and skip ahead or go back easily to your favourite page with the dynamic page index. Enjoy the story your way. 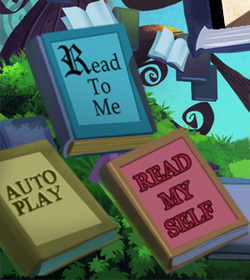 When you “Swipe Up”, you get access to the options menu at anytime to change your reading options. Use the touchable Table of Contents and go straight to the chapter you’d like to start reading. Touch the characters to see and hear surprises. 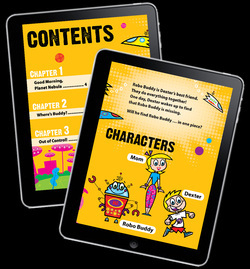 Touch the pages as you read to discover sounds and animations. Remember to turn your volume on to hear the fun special sound effects and music that are a part of each adventure.